The rosticerria (rotisserie) is a popular snack-food eatery throughout Italy. In Sicily, the word “rosticceria” refers to a place but also a type of cuisine. Restaurants or bars offer a large array of finger foods such as pizzas, calzones, and other stuffed delicacies. It’s the Italian version of fast food. The Sicilian rosticceria (rosticceria Siciliana) is a variety of snack foods made using a soft-brioche bread dough. You use the same dough as a base. Among these, rollò con wurstel (German sausages or hotdogs) is a very popular choice. It’s basically what we refer to as pigs in a blanket. 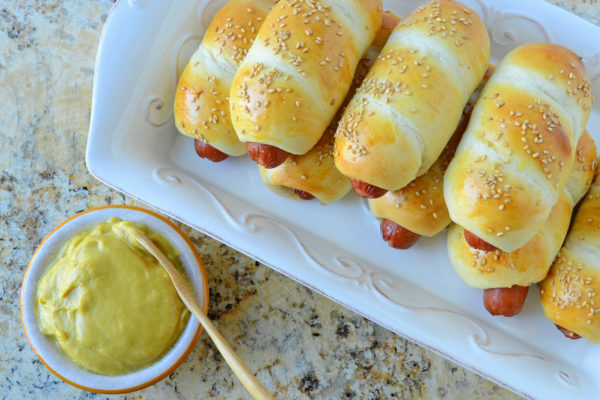 You can also use cocktail franks to make a smaller version. 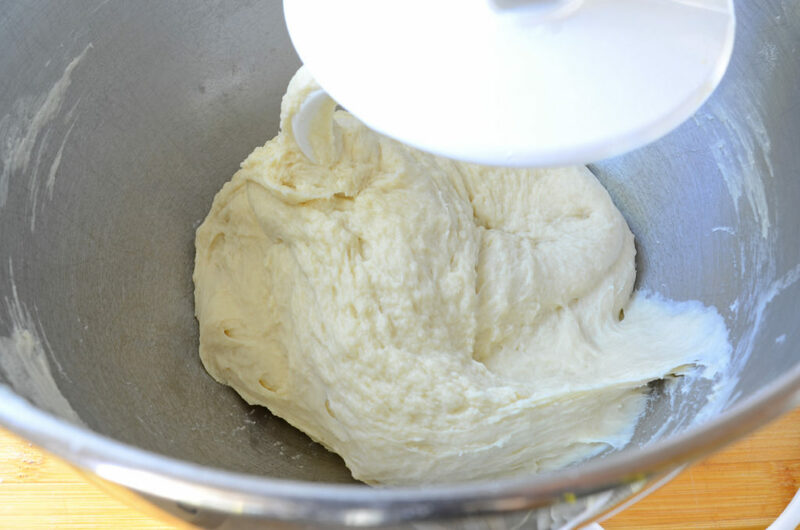 MAKE THE DOUGH: Lightly grease a medium bowl with vegetable oil. Stir together 1/4 cup water, 1 teaspoon sugar, and yeast in a small bowl. Let mixture sit until foamy, about 10 minutes. 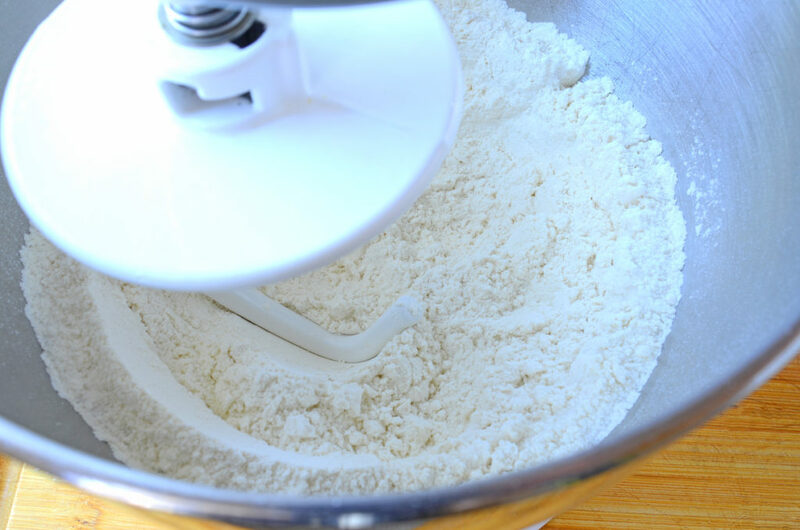 Using a mixer fitted with a dough hook attachment, add the flour, remaining sugar, and salt and beat on lowest speed for 30 seconds to combine. 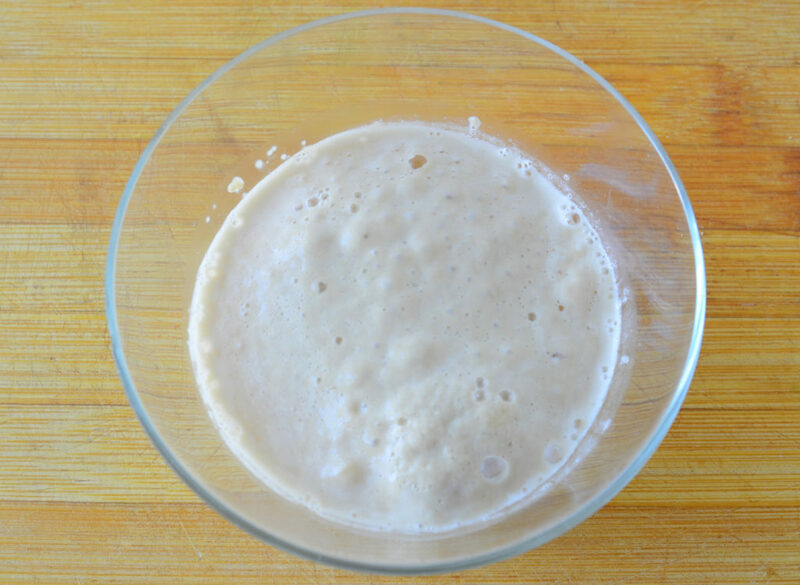 Add the remaining water, shortening, and yeast mixture and beat on medium speed for 8 to 10 minutes, until dough comes away from the sides of the bowl and is smooth and elastic. The mixture will be sticky. Place dough in greased bowl, cover with plastic wrap, and let rise 40 minutes, until double. 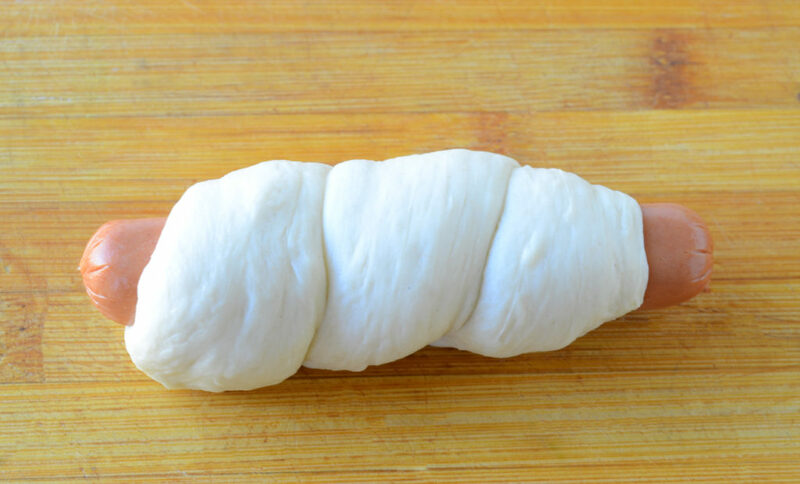 MAKE THE ROLLO: Preheat oven to 350 degrees F. Line a baking sheet with parchment paper. 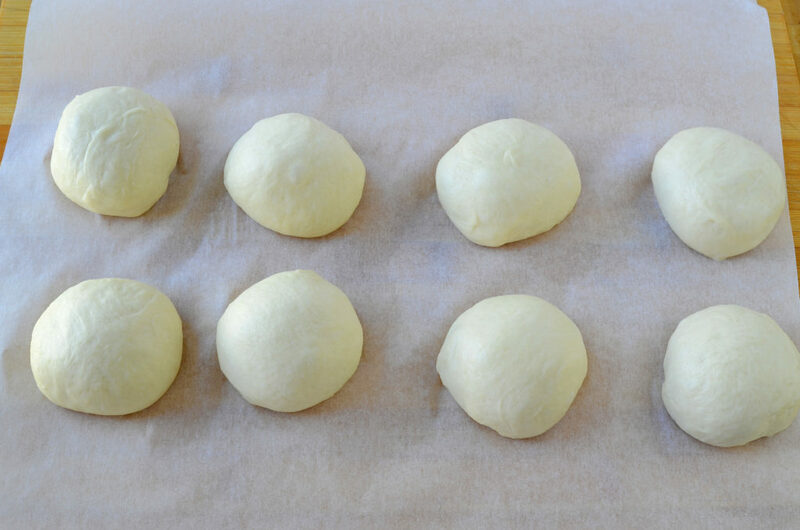 Divide the dough into 8 equal pieces. Roll each piece into a 10-inch long rope. 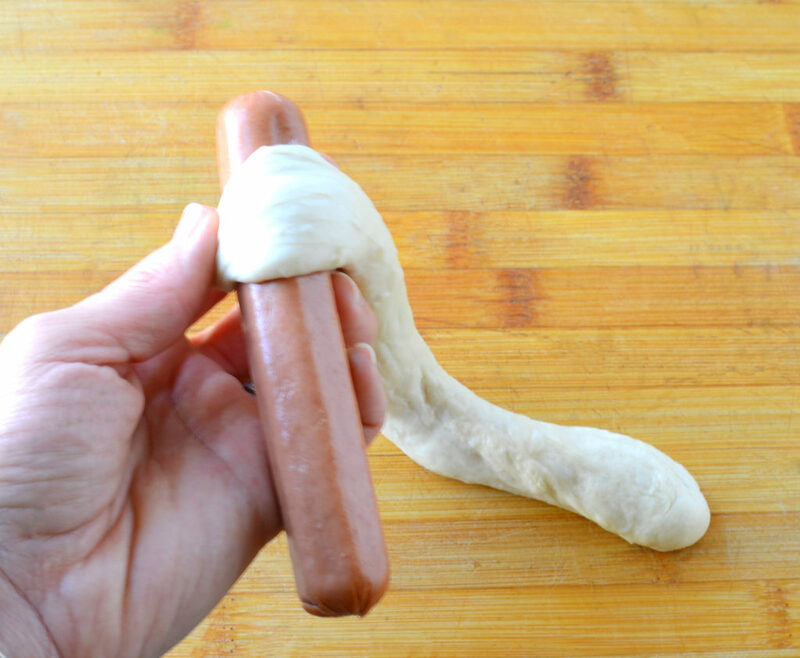 Wind the dough around the hotdog, slightly overlapping at the beginning end to secure, and then continuing to the other end. 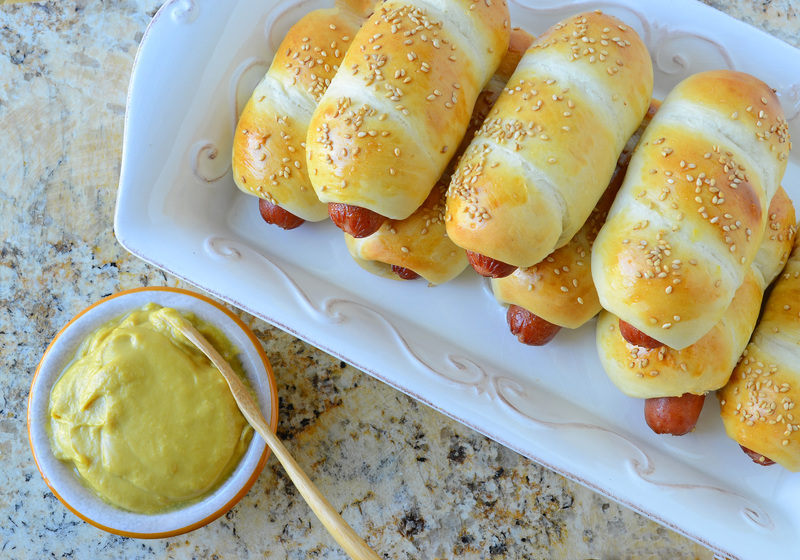 Gently roll the hotdog back and forth on a board or flat surface a few times to help seal the ends. Place 2-inches apart on baking sheet. 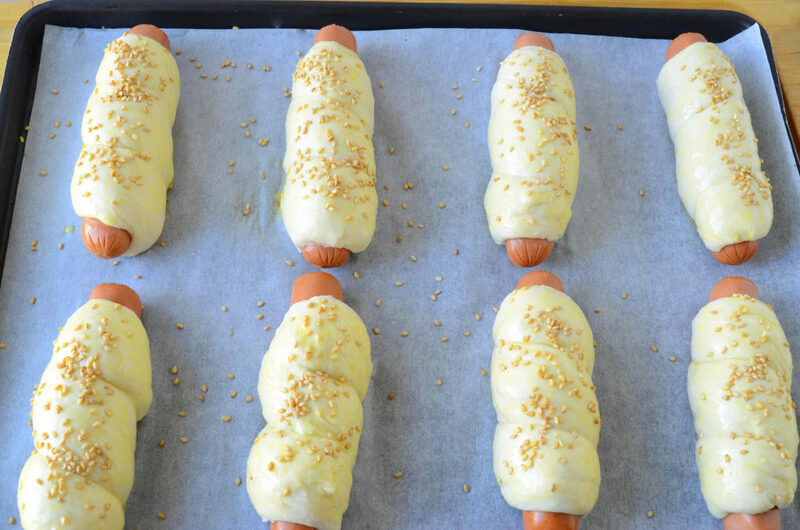 BAKE THE ROLLO: Brush the tops with beaten egg and sprinkle with sesame seeds. Bake for 25 minutes, until golden brown.